Laila Jafari is a prominent civil society and women’s rights activist in Afghanistan. 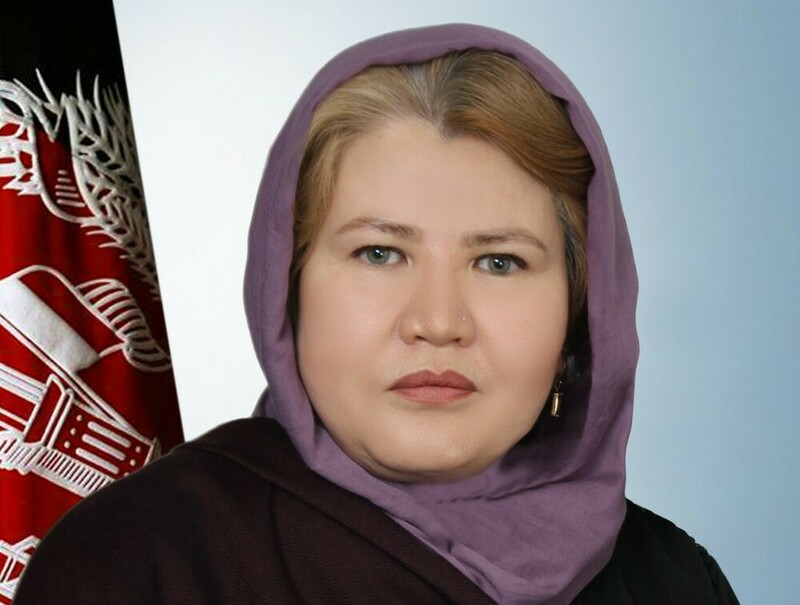 She is also a member of High Peace Council (HPC), a government body constituted to facilitate peace talks between the Afghan government and the Taliban. In an interview with Tehran Times, she talks about the ongoing peace negotiations, significance of women’s representation in these talks and why she is hopeful about the final outcome. Q: There have been hectic parleys in recent months to end the ‘imposed war’ in Afghanistan. What is the present status of peace negotiations? A: The peace talks are heading in the right direction, and things have seen a marked improvement recently after more than 17 years of protracted war. Today, the discourse of peace has gone beyond Afghanistan’s political geography. For many years, it was the people of Afghanistan calling for peace and stability in their war-ravaged country but now regional countries have also joined the chorus. Secondly, all actors involved in the negotiations believe that war in Afghanistan will not end with continued violence but with negotiations and political settlement. Afghan government has a strategic plan for peace and Afghanistan’s High Peace Council has initiated practical steps to bring peace through consensus at national and international level, which augurs well for the country. Q: In Afghan peace process, which regional and international actors have important role to play? A: Afghanistan’s war has foreign roots and we need cooperation of international and regional players to make this peace process a success. Afghan government and the Taliban are the two principal parties and other actors are trying to play the role of peacemaker. Taliban and other terrorist groups have traditionally used Pakistani territory to create chaos in Afghanistan and the region. Pakistan has strong influence over the Taliban leadership which was evident recently during the military showdown between regional arch rivals India and Pakistan. Pakistan warned that if India does not deescalate, Afghan peace talks would be affected. It is clear we can’t have peace in Afghanistan without Pakistan’s cooperation. But, as a representative of Afghan people, especially Afghan women, I believe the talks should be owned and led by the Afghan government without any outside pressures. Q: Taliban has so far refused to directly engage in negotiations with the elected government in Kabul led by President Ashraf Ghani, while it has held many rounds of talks with U.S. What is the possible reason? A: The reason could be that our ‘neighbor’ deliberately does not want the Afghanistan government to be in the axis of peace talks. In the past, it benefited from the imposed war in Afghanistan and now it seeks to dictate the terms of peace in our war-torn country. I believe Afghanistan government as a representative of its people must be part of the peace process because ultimately it is about the aspirations of the people of Afghanistan. Q: So far the representatives of Afghan Taliban have held negotiations with the U.S without the inclusion of Afghan government. If they reach any decision, it will be practical? A: The two sides have held several rounds of talks but the U.S. State Department and U.S. special envoy Zalmai Khalilzad has emphasized that only people of Afghanistan can make the final decision, which is also the central demand of the Afghan government. The people of Afghanistan are the main stakeholders and without their inclusion the entire process would be futile. There has been antagonism between the U.S and Taliban which started on September 11 and led to the overthrow of the Taliban. In the ongoing negotiations, the discussions mainly focus on two issues: withdrawal of foreign troops from Afghanistan and Afghan territory not to be used to attack other countries. These discussions are meant to prepare ground for intra-Afghan talks. The final decision will be taken by the people of Afghanistan and we are totally optimistic about that. Q: While peace talks are underway between the U.S and Taliban, attacks are always going on against Afghan security forces, leading to casualties. How can people trust these peace talks? A: Firstly, Taliban is not the only entity fighting against the government, there are some other groups also that are trying to exploit the situation. Taliban has upped the ante to negotiate from the position of strength. They want to send the message across that they do not negotiate because they became weak. High Peace Council has many times emphasized that Taliban will not surrender to government and the government will not surrender to Taliban, but negotiations will evolve a political agreement to end the 17-year war which will be in the best interest of all parties involved. Q: What has been the role of Iran in Afghanistan’s peace talks? A: The representatives of Taliban recently came to Iran and held talks with the Iranian authorities. We believe Iran government also has high influence over the Taliban leadership and can play an effective role in peace talks by encouraging the group to join the peace process with the Afghan government. Peace in the region is not possible without peace in Afghanistan and the foreign ministry of Iran has also clearly emphasized on the importance of involving the Afghan government and people in peace talks. Q: What is the role of Afghan women in peace talks and do they have a substantial presence in it? A: Afghan women are not anymore like they were 18 years ago. “War is enough, we want peace” – this was the slogan raised by representatives of women numbering 15,000 from 34 provinces to develop a national consensus on peace process. Among the representatives, there were many who had lost their close relatives on both sides and they not only pledged their commitment to the peace process but also persuaded their families. In this ‘Afghan Women National Consensus for Peace’, thousands of women who had assembled across many provinces discussed the pros and cons of the process and demanded active role and presence of women in the peace process between the Afghan government and the Taliban. Afghan women have grown weary of war and want peace with full dignity and rights as guaranteed by Islam and the country’s Constitution. Q: Why is it important for the women to be part of the peace process? A: There are two main important reasons for that. One, Afghan women have sacrificed massively over the past 18 years of war. They have been killed, assaulted, abused, forced to migrate, and have lost their loved ones. They have also experienced various forms of violence and discrimination in political and social spheres, denied access to universities or good healthcare. So, women are legitimately concerned about their future and want equal representation in peace talks between the Afghan government and the Taliban. Q: What are the roadblocks in Afghan women’s participation in peace talks? A: Afghan women face some critical barriers. Firstly, in peace talks, political figures of all shades are attending, but the presence of women is poor. Secondly, women’s presence in peace talks is poor both in terms of quantity and quality. We want real presence, not symbolic one. Thirdly, Taliban women who have equally suffered the consequences of war should also be part of the peace process. They say, ‘men started war and men should bring peace’. In this case, both men and women have offered sacrifices, and both should be included in the peace process. Women can play a key role in bringing sustainable peace and help in guarding the gains of peace. Q: But how is it possible for Taliban women to attend the peace talks? A: The presence of Taliban women, which means female relatives of Afghan Taliban leaders, is very necessary, because women from both sides should engage in talks like men from both sides are doing. In recently-held Moscow conference, Taliban representatives declared that they will consider women rights from Islamic point of view. History bears testimony that the Prophet of Islam (pbuh) consulted women on important political issues and respected their views. If Taliban want real and sustainable peace, they should allow their women to attend peace talks. Q: What are the main things that figure on the agenda of Afghan women? A: The rights guaranteed to women by Islam and Afghanistan’s constitution figure high on our list of demands. Article 22 of the constitution of Afghanistan says: ‘Any kind of discrimination and distinction between citizens of Afghanistan shall be forbidden. The citizens of Afghanistan, men and women, have equal rights and duties before the law’. The presence of women in political affairs, military affairs, universities and schools, health and business institutions should be preserved. There is no looking back now and peace without the presence of women won’t be practical.